AOS is a leading water treatment consulting and chemical supply company that provides both standard and custom solutions designed to deliver high-quality, safe drinking water to municipalities. By leveraging the latest marketplace technology and resources, AOS delivers practical solutions that significantly reduce operating costs. Magnum Air are commercial HVAC contractors. Joe Cook has been with Nationwide Insurance since 1995. He and his team are committed to providing affordable, effective coverage specific to your individual needs. They look forward to handling all of your insurance needs, and becoming your one-stop insurance destination. Introducing Big Little Fudge, a great new fudge born in the little town of Montgomery, Texas, where we like to do things just a little bit bigger. So, you might be a tad confused ‘bout the small size of our Big Little Fudge. Truth is, there’s more crunchy, nutty, coconutty per square inch than a Texas mile. That’s OUR fudge factor – where small isn’t really small at all. One taste and you’ll know, we’re not messin’ around. Love Birds Vintage Rentals & Styling, located in historic Montgomery, Texas. We are an event styling and vintage rental company specializing in all things unique. From one-of-a-kind vintage furniture and props to distinctive décor and event styling, we offer a curated collection of items for every occasion, style and budget. Custom searches and delivery & setup available upon request. 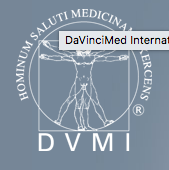 DaVinciMed International LLC (DVMI) is a company located in Montgomery, on the outskirts of Houston. We and our affiliates are specialized in developing and manufacturing medical products for different niche markets within the medical device industry. Among DVMI’s core competencies are the development, manufacturing and marketing of patient monitors for applications in the MRI environment. Our R&D department collaborates closely with medical personnel and MRI manufacturers in order to build products that provide exactly what the market needs. DVMI develops and produces its MRI-compatible devices in collaboration with it European affiliates. All the products are exclusively produced in Germany and distributed worldwide. 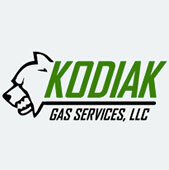 Kodiak Gas Services supplies contract labor and mechanical expertise for end users of compression, dehydration, processing and treating equipment. We also have the expertise to manage the resources and assets of oil and gas producers. Kodiak’s focus on increased revenue and cash flow maximizes the value of company resources and gives our customers an economic advantage – runtime efficiency. We furnish contract operation of customer-owned compressors and compressor stations, which is backed by our 98% mechanical availability guarantee. We also offer full range overhaul services for natural gas engines and compressor frames. We are a Texas based blockchain security firm that runs a large private facility. We specialize in bulk orders of blockchain equipment and provide consulting services to other facilities. 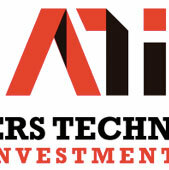 Whether your facility is 6 or 6000 gpus strong we can get you the equipment you need. 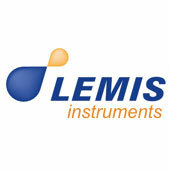 We are an official channel partner so manufacturers warranties do apply to bulk orders. 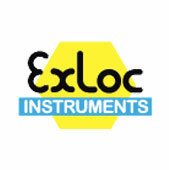 Exloc Instruments was born from a desire to provide one convenient source for instruments, electronic devices and other products specifically designed and hazardous area certifications and approvals from the top notified bodies. Hey there beautiful! We are Ruthie Grace Boutique! Most days you can find us hustling around the store in yoga pants unpacking and merchandising beautiful clothes. We are known for our expertly styled clothing, top of the line customer service, and our uncanny ability to constantly misspell words. Women who shop with us like to refer to themselves as #regularruthies. It’s a pretty exclusive group of amazing women and we want you to join our club! We love providing you with clothes that build you up to the woman we know you are! We are deeply passionate about all of our customers and we can’t wait to meet you! Thanks for stopping by! “Every child deserves a beautiful nursery” is more than a tagline at Pam Grace Creations – it is our way of doing business. The company was founded on the core belief that combining style, convenience and affordability allows all parents to create a dream room for their newborn or child. Now combining our XOLO Shoes brand; at XOLO we love “different”! That is why we have created the Misfitz brand of baby and kids shoes! Designed with funky in mind, your child is going to love the creativity our brand delivers.